Joel Hradecky was born in the United States of America, and is a YouTuber, best known for his channel called “CustomGrow420”, on which he vlogs about cannabis. He harvests his own cannabis, and uses it for medical purposes, and teaches and entertains his YouTube audience while he smokes it. All of his endeavors have helped put his net worth to where it is today. How rich is CustomGrow420? As of late-2017, sources estimate a net worth that is over $100,000, mostly earned through success on YouTube. He’s also collaborated with other YouTube personalities, having been active on the site since 2013, and as he continues his career, it is expected that his wealth will also continue to increase. In 2013, the YouTube channel “CustomGrow420” was created with the purpose of spreadin information about the recreational use of cannabis, and also to spread the awareness of its medical benefits. 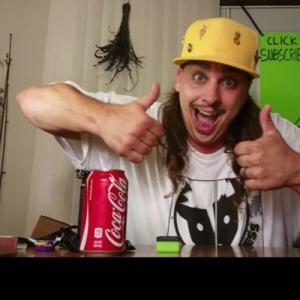 Since establishing the show, CustomGrow420 has been seen smoking and harvesting his own cannabis, often doing so for the entertainment of his audience, which certainly helped his channel started to grow in popularity, so increasing his net worth. However, with this popularity also came a lot of criticism, due to his use of his substance, and family issues. He’s also appeared on other YouTube channels including the “Filthy Frank Show”, in one of Frank’s songs, in which he is seen yelling with a picture of Jon Favreau. Aside from working on his YouTube channel, he mostly stays at home and takes care of his family. CustomGrow420’s YouTube channel continued to grow in the next few years, with his subscriber count reaching over 1.4 million. He continued to upload to the channel regularly, with some of his most popular YouTube videos reaching 300,000 views. Aside from showing his new items, he also smokes with other celebrities, and has given tours of various parts of his home. His net worth has continued to increase over the years. In 2016, he filmed a video with friends, with the group going to the abandoned Vance Creek Bridge located in Shelton, Washington, where they smoked marijuana and attempted to traverse steel beams. However, they weren’t aware that the site’s no trespassing law was strictly enforced, and after they posted the video on YouTube, the police became aware of the situation and took action to find them. Several news websites reported on the issue, including “TMZ” which reported that it wasn’t that hard to find them since they filmed their car’s plate number on the video. For his personal life, it is known that CustomGrow420 is married and he has three children. There have been some rumors that he was abusing or abandoning his family, but none of them have ever been confirmed. He’s also very active on social media, having nearly 400,000 followers on Instagram, and over 20,000 on Twitter. His social media pages are updated regularly – mostly his Twitter and Instagram accounts talk about getting high, or various new orders of weed. He resides with his family in Washington, USA.